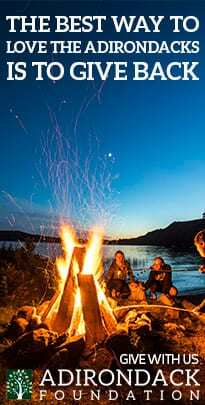 The blog often cited as a “must-check” by well-read Adirondackers is adirondackalmanack.com The site’s author scans regional news outlets and other blogs, posting new links and comments regularly. The host is an able historian who digs up context to breaking stories that daily news reporters can’t or just don’t. 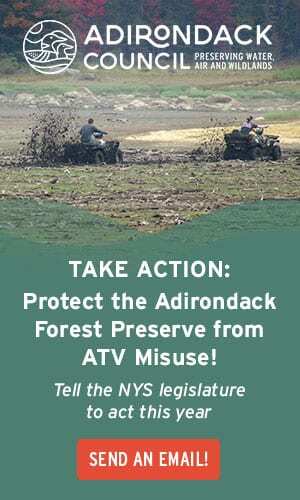 Adirondackalmanack’s postings occasionally have a progressive voice but the emphasis is on timely and entertaining information. 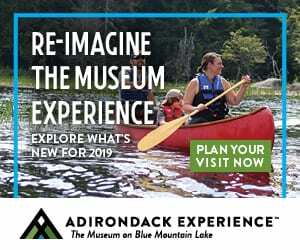 Other blogs featured include Adirondack Base Camp, “a place to escape the distractions of 24-hour information and get back to nature” Adirondack Naturalist, along with City Mouse / Country House (“an engrossing blog”), and the “guileless and inspiringly nice” Lake Placid Skater. The story includes several more sites worth checking out – all of which can be found in the blog roll at right. 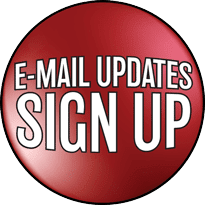 Unfortunately “Blog Cabin: Online in the Blue Line” won’t be online until after the New Year [Update: it’s now located here]. 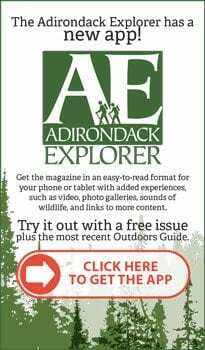 In the meantime, you have to suffice with the mentions of Adirondack Almanack in the old media, including the Adk Life story from 2006 about thin ice, drawn from the Almanack archives. , that uses the photo collections of local historical societies, collectors, and others to good effect. More recently they’ve expanded to a Postcard History Series. look at the whole park. 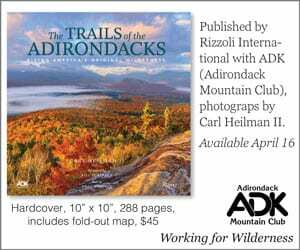 About 127 pages of postcard images are organized in chapters on the Eastern, Central, and Western Adirondacks, the High Peaks, Lake Placid and Ray Brook, and Saranac Lake. Schatz drew on local library and her own large collection of vintage postcards to present a fairly varied collection. 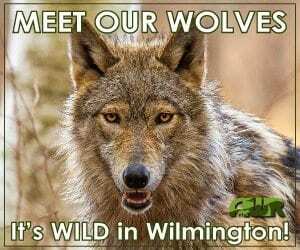 There are plenty of scenes of local hotels, roadways, and natural places; the book is more limited when it comes to people, town and streetscapes, and wildlife. Unfortunately the lack of color hurts some of the cards, notably the first card in the book, originally a colorfully modern “Greetings from Lake George” that falls flat in black and white. The Park Agency Board will discuss guidance today for implementation of new regulations which were passed at its November Agency meeting. The Agency adopted new regulations in November after a four year public process that revised five issues with the APA Act. The shoreline expansion regulation has generated the most concern and confusion. This revision to a 1979 regulation requires that any expansion of structures built prior to the enactment of the APA Act in 1973 and located within defined APA shoreline setback areas will need a variance. These structures are referred to as “non-conforming” structures. The revision does not change the rights of landowners to repair or replace non-conforming structures; it only addresses expansions of these structures. The regulation was developed based in part on technical data that proves the placement of structures close to shorelines can significantly accelerate erosion and sedimentation into water bodies. This results in negative impacts on water quality. When combined with inadequate on-site wastewater treatment systems, structure expansions increase the potential for public health risks and further degrade water quality. This new regulation requires evaluation of the on-site wastewater treatment system before an expansion of a non-conforming structure is allowed. A wastewater treatment system with the capacity to accommodate increased use will be a factor in determining variance approval. The variance process will ensure that shoreline lots are responsibly developed with adequate infrastructure in place. On Thursday, December 11 the Agency will discuss exemptions for “minor” expansions of non conforming structures from the variance requirement. This will allow some expansion to non conforming structures without first obtaining a variance. Specific criteria of minor expansion will be clearly explained. The Agency will also consider a transitional period in which variances will not be required from the Agency pursuant to the new rules. To qualify, a landowner must obtain all required local permits and variances for the proposed structure expansion prior to December 31, 2008, and the foundation or framing for the expansion must be complete by May 31, 2009. The proposed guidance would also honor Agency permits and non-jurisdictional determinations issued before this regulation was adopted, even if construction has not commenced. It will also honor local permits issued and subdivision plats filed before the effective date of the regulations, December 31, 2008. For shoreline structures which already have all necessary permits for expansion in place on December 30, 2008, the landowner will have until May 31, 2009 to complete the foundation or framing of the addition. 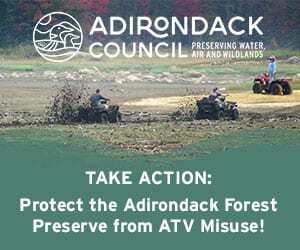 The Adirondack Park Agency was created to protect the unique and valuable resources of the Adirondack Park while balancing the economic needs of local municipalities. Increased shoreline development over the last 30 years has resulted in obvious decline in water quality attributable in part to inadequate sanitary waste treatment, increased impervious surfaces too close to water bodies and removal of vegetation that stabilizes shorelines. In addition, the scenic appeal of Adirondack shorelines is diminishing as a result of over built structures located too close to the water. The previous regulations allowing expansions to non-conforming structures built prior to 1973 did not comply with the terms of the APA Act, which specifically requires that expansions not increase any non-compliance with the minimum setback requirements. This revised rule and included exemptions will protect water quality throughout the Adirondacks so that future generations will continue to benefit from clean water. “The whole conference was timed so that we could produce this document in time for this planning stage for whichever new administration was going to decide the American response,” said Ross Whaley, former President of SUNY ESF and conference co chair. The report details four main action areas, and warns about the high costs of a failure to act quickly and decisively, including a predicted 5 to 20 percent collapse of global GDP from climate-related disruptions. The report also stresses that the four planks are designed to support each other, and that all four are needed to deliver an effective action plan. The report says that three criteria drove the decision about where to focus the plan, that it was market-driven and not driven by regulation, that it was fair so that it did not impact one group more advantageously or negatively than another, and that it could be rapidly enacted and implemented. The first part of the plan is a declining cap on the total carbon emissions produced in the Unites States. The cap would encourage investment in low-or zero carbon energy solutions by setting a firm and predictably increasing price for carbon pollution. Companies that needed to continue to pollute, a power plant for example, would buy the rights to do so from organizations that were cutting their emissions and didn’t need their rights. Companies would earn money buy cutting their carbon pollution, and the more they could cut, the more they could earn. The money from selling those rights would be used to invest in more low carbon solutions. This cap-and-trade process would use market forces of supply and demand to move energy production from carbon to non-carbon sources according to the report. The second action area outlines a series of strategies to promote energy efficiency that would in many cases have a zero cost. Setting energy efficiency standards on appliances that would save consumers money is one example. Using the new appliance would cut energy costs by more than the cost of the appliance, resulting in lower costs and lower emissions. The third plank recommends a major federal effort to encourage new energy technology investment and create an energy innovation explosion similar to the technology revolution that transformed the economy in the 1990s. The final plank is a plan to maximize the amount or carbon taken back by forests and agricultural lands to help buy time for the plan’s other steps to cut into the rate of emissions. According to the report, an improved plan for managing these lands could absorb 500 million tons of carbon per year. A report by the Pew Center on Global Climate Change, a conference participant, states that the 500 million tons represents a third of all U.S. emissions. Whiteface is kicking of its winter events this weekend, December 13-14, with an open rail jam and telemark skiing equipment demonstration day. The first of seven Whiteface Park n Pipe events is Saturday’s Rail Jam, sponsored by Cunningham’s Ski Barn. This event is open to all skiers and riders looking to show off their latest moves on the rails. Participants may sign up at the Guest Services desk anytime before 10 AM on December 13. The Rail Jam begins at 11 AM and lasts for one hour. During that hour, competitors may hit the rails as many times as they can with the best trick winning. 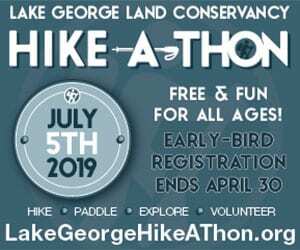 Prizes are provided by Cunningham’s Ski Barn and will be awarded immediately following the competition. Cost is $10 and helmets are required. 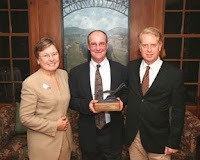 For more information on Cunningham’s Ski Barn, visit www.cunninghamsskibarn.com. 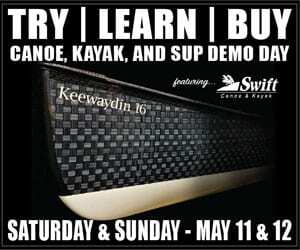 High Peaks Cyclery is presenting a telemark and alpine touring demo day on Sunday from 9 AM to 4 PM at the mountain’s base lodge area. New 2008-09 gear from Atomic, K2, G-3, Black Diamond, Crispi, Dynafit, Alpina, Karhu, Garmont, Silveretta, Voile and Scarpa will be available to try. There will also be free one hour ski clinics for novice (9:30 AM), intermediate (11:30 AM) and advanced (1 PM) skiers. 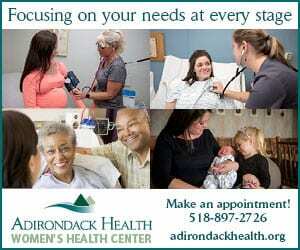 Pre-registration is required for the clinics so call High Peaks Cyclery at (518) 523-3764 to signup. For more information on High Peaks Cyclery, visit www.highpeakscyclery.com. Lift tickets are currently $55 for adults (20-64 years old), $45 for teens (13-19) and seniors (64-69), and $32 for juniors (7-12). As always, children six and under and seniors 70 and over ski and ride for free any day of the season. These prices will be in effect until mid-December. Operating hours are from 8:30 AM – 4 PM. Also: Present any empty Coca-Cola product and get a one-day adult lift ticket for only $38 at Whiteface and Gore Mountains. Offer valid Wednesdays only, through Closing Day, Spring 2009 except Wednesday except 12/31/08 and 2/18/09. 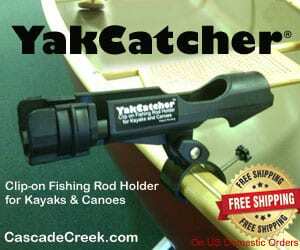 Not valid with any other offers, programs, promotions, discounts, or frequent skier products. Limit one ticket per can. An Adirondack hotel that has gone all out to go green and educate guests, a Capital Region college that has taken big steps to reduce its ecological footprint, and a Hudson Valley school district effort to protect the water supply, reduce waste and run an organic garden are among the winners of the 2008 Environmental Excellence Awards announced today by New York State Department of Environmental Conservation (DEC) Commissioner Pete Grannis. The fifth annual New York State Environmental Excellence Awards ceremony took place in Albany today to acknowledge the winners and their projects. There were more than 40 applicants, with submissions coming from industry, local governments, advocacy groups, educational institutions, and the hospitality sector. A committee of 20 representatives from the public and private sectors selected the winning submissions. Energy efficiency. Water conservation. Recycling. Green grounds. Environmental education. The Golden Arrow Resort has instituted green programs on a variety of fronts to reduce the environmental impact not only of the hotel, but also of the traveler. It features a “green roof” – a rooftop expanse of native plants that provides wildlife habitat, reduces water runoff and helps keep the inn warm in the winter and cool in the summer. A limestone beach reduces the impacts of acid rain. In-room recycling, insulated windows, energy-efficient lighting and low-flow plumbing fixtures are also part of the mix. The hotel offers incentives for guests that travel by foot, ski, bike or hybrid car. The Golden Arrow also assists others in the hospitality industry find ways to reduce their carbon footprint. Through its multi-faceted “Environmental Education/Sustainable Practices Project,” the Brewster Central School District has demonstrated leadership in protecting the environment and in promoting environmental education. This project includes significant capital improvements and managerial processes to save energy and to protect the region’s water supply by preventing excessive plant growth, loss of oxygen and fish kills in the receiving waters. The project also includes educational activities that have developed students’ awareness of environmental issues and have empowered them with opportunities to participate in meaningful, innovative, hands-on activities that have measurable environmental impacts. Accomplishments have already included a 50 percent district-wide reduction in solid waste production, a student-run organic garden, and a technologically advanced wastewater treatment facility built in 2007. Improvements have resulted in more than 17 percent in annual energy savings, 1,724,388 pounds of carbon dioxide emissions prevented, and 250,000 cubic feet each of paper and plastic waste diverted from landfills. Union College has instituted the U-Sustain initiative – an innovative, campus-wide program that involves faculty, staff, students and administrators with the goals of reducing the ecological footprint of the college, increasing environmental awareness on campus and in the community, and making the college more sustainable. Accomplishments thus far include the renovation of student apartments to be an eco-friendly house, energy reduction strategies, dining options that include student volunteers working with dining services to provide fresh, local and organic meals, initiatives to offset energy consumption, and increased recycling/waste reduction opportunities. These public agencies worked together to develop an innovative guide, “Stream Processes: A Guide to Living in Harmony with Streams,” that describes how streams work and why functioning floodplains are integral parts of the stream system. The guide contains dramatic photographs that help promote the need for sound management practices. The lessons learned can be applied to stream channels, floodplains, stream corridors, and watershed activities that do not trigger regulatory actions. 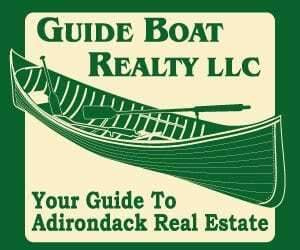 The guide has already begun having a positive effect on decisions made by Chemung County landowners and local highway departments and its reach is expanding as a result of more than 30,000 guides being distributed to a variety of audiences throughout New York State. The City of Kingston partnered the Aslan Group to develop a new and innovative system – the first of its kind in the world – for managing wastewater treatment plant residuals in an economical and environmentally sound manner. Waste “biogas” is captured from the plant’s digesters and utilized as the only required fuel to turn 10 wet-tons-per-day of municipal wastewater sludge into one ton-per-day of an EPA-recognized pelletized usable “biosolid.” The biosolid is distributed free of charge for use as a lawn fertilizer or furnace fuel, which costs less than the previous practice of landfill disposal. Also, methane gas is efficiently utilized within the process as a fuel and since very little methane is flared, oxides of nitrogen and other pollutant emissions have been reduced. The committee’s Agricultural Environmental Management (AEM) – Farming New York Cleaner and Greener program serves as a national model of how a voluntary, incentive-based approach to agricultural management can successfully protect and enhance soil and water resources, while preserving the economic viability of a diverse agricultural community. AEM assists farmers in making practical, cost-effective decisions that result in the sustainable use of New York’s natural resources. Recently the program has expanded efforts to assist vineyards. Currently 52 growers have completed a new self-assessment workbook, which has resulted in the development of 16 action plans that implemented an average of nine improved farming practices at each location. While AEM supports voluntary environmental stewardship, it is also a vehicle by which changes in environmental regulations have been effectively implemented at over 600 Concentrated Animal Feeding Operations (CAFOs). Plans have been successfully developed for all 147 large CAFOs and 92 percent of the state’s 472 medium sized CAFOs. More than 10,000 New York farm families participate and receive information, education and technical assistance so that farmers are able to operate cleaner and greener while competing in today’s global market. 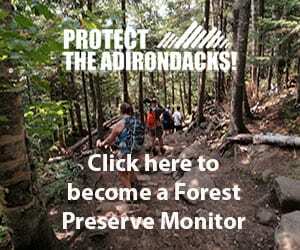 “I have 18,000 acres in the Adirondacks,” she said. “I’ll fly some of these cats up there in my private jet.” That was the quote that lead me to an interesting post over at the Huffington Post by Laurence Leamer. At first I though the quote was about people – you know, like “hey, look at those hep cats – let’s fly them up to the Adirondacks on my private jet.” I was wrong – the cats were not hipsters, they were cats, feline. The whole post is worth a read because it discusses the outrageous beliefs the wealthiest among us often have or condone. It’s not that they are the only ones – I hear the same kinds of idiocy from some of my neighbors – but it’s startling how public it is in the circles of the supposedly educated and cultured rich. » Continue Reading. On Monday Representative Kirsten Gillibrand became the first American to permanently retire carbon dioxide pollution allowances from a government-mandated carbon dioxide reduction program. She did it through the Cool Park/Healthy Planet Program [no web page that I could find!] created by the Adirondack Council to prevent thousands of tons of carbon dioxide from being emitted by power plants from Maine to Delaware. The Regional Greenhouse Gas Initiative (RGGI) is the first government-mandated carbon dioxide control program in the United States. It requires power plant emissions reductions in New York and nine other Northeastern and Mid-Atlantic States. Over a period of years, the 10 states will steadily reduce their power plant carbon emissions through a “cap-and-trade” program. » Continue Reading. Kendall Wyckoff from the Olympic Center Skating School claimed silver during the Eastern Sectional Figure Skating Championships in Boston to qualify for the U.S. Figure Skating Championships to be held January in Cleveland, Ohio. Wyckoff, originally from Panton, Vt., currently lives in Lake Placid and trains with Gilberto Viadana and Michela Boschetto of the Olympic Center Skating School. She placed sixth in the novice division at last year’s U.S. Figure Skating Championships and went on to represent the U.S. at the Triglav Trophy in Slovenia, where she finished second. This is Wyckoff’s first season competing at the junior level. Skating for the Vermont Skating Club, Wyckoff took the silver medal in the Junior Ladies division. The 16-year-old skater earned 127.11 total points, winning the free skate portion of the event. The gold medal winner was Kristiene Gong of the Skating Club of New York. Gong finished third in the free skate and won the short program, earning a total of 131.23 points. Third place went to Samantha Cesario, who also skates for the Skating Club of New York. Cesario placed sixth in the short program and second in the free skate to earn 123.46 points. In October, Wyckoff won gold during the New England Regional competition in the Junior Ladies division. She earned 119.48 points, placing first in both the short program and free skate. By winning the event she qualified for the U.S. Junior Figure Skating Championships. 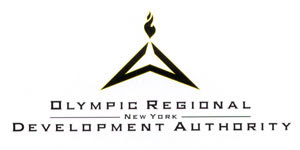 This event will be held next week, December 8-13, in Wyckoff’s home arena – the Lake Placid Olympic Center. The Olympic Center Skating School is directed by Viadana. He coaches World and Olympic figure skaters and is an International Skating Union Technical Specialist. Boschetto is a professional ballet teacher and choreographer with demonstrated record of developing and building skills with all levels of skaters, developing creative choreography and coaching competitive skaters at national, international and Olympic levels. For more information on the school, visit www.lakeplacidskating.com. , the Academy Award-winning film based on his best-selling novel. He will also answer audience questions afterwards. The movie will be shown at 8:00 PM on Saturday, December 6th at the theater in the Willsboro Central School. Tickets are $5 for adults and $2 for children under 18. 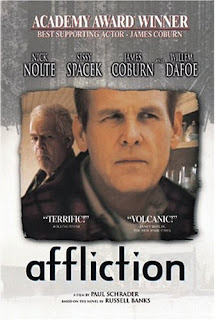 Nick Nolte stars as a small-town sheriff who investigates a possible murder while attempting to reconcile with his abusive, alcoholic father. James Coburn won the Academy Award for Best Supporting Actor for this role. Nick Nolte was nominated for an Academy Award for Best Actor and he won both the National Society of Film Critics and the New York Film Critics Awards. The movie also stars Sissy Spacek, Willem Dafoe, and Mary Beth Hurt. The film is rated R for violence and language. Russell Banks is the author of 11 novels and 5 collections of short stories. His works have received numerous prizes and awards and been translated into 20 languages. His novels include Continental Drift, Rule of the Bone, Cloudsplitter, and recently The Reserve. His novel The Sweet Hereafter was also filmed, and won Grand Prize at the Cannes Film Festival. Mr. Banks lives in Keene and Saratoga Springs, NY, with his wife, the poet Chase Twitchell. At the end of last month’s global warming conference a few participants were standing around talking philosophically about how to position the Adirondacks as a leader in the future green economy. One local planner saw abandoned DOT lots along the Northway becoming park n’ rides, linked to local communities by bike and hiking paths, others envisioned them as green centers that connected mass transport, local information centers, and charging stations for locally produced energy. Someone else suggested painting a green stripe across every roadway that enters the Adirondacks – an unambiguous sign that you are entering a region where economics and the environment live hand and hand. Redraw the Blue Line as a Green Line. The major reason the New York State budget is out of balance today—and has been intermittently for decades now—is that, for the last thirty years, the state has been cutting the tax rate for the top income New Yorkers. Specifically, driven by the desire to create a “business-friendly environment” in New York State, successive governors have succeeded in gradually lowering the tax rate for people in the top income bracket from 15.38 percent to 6.85 percent. Thus, today, despite its liberal image, New York has a rather flat income tax rate, ranging from a low of 4 percent to a high of 6.85 percent… One of the state’s highly-respected think tanks, the Fiscal Policy Institute, estimates that a very small, temporary increase in the tax rates on the highest-income New Yorkers could yield as much as $7 billion per year—more than enough to cover the state’s projected fiscal woes. During the first years of the Great Depression, when Franklin Roosevelt served as governor, New York was one of the incubators of the New Deal’s Keynesian approach. A staunch backer of unemployment insurance, Roosevelt became the first governor in the nation to demand state aid for relief. Moreover, New York’s Temporary Emergency Relief Administration served as the first state relief agency in the country. Governor Roosevelt was also a keen advocate of expanding New York State’s investment in public power programs and of having the state buy up abandoned farms for the purpose of reforestation. In New York City, too, the municipal government reacted to the Great Depression by investing heavily in upgrading the city’s infrastructure. It established new (and free) city colleges like Brooklyn College (in 1930) and Queens College (in 1937), and opened its first city-owned subway line (in 1932). So folks, if we need a New Deal, and we want it to be a Green New Deal led by our region – what proposals do you have? What projects, small and large, can we do locally and regionally to advance a Green New Deal? If you missed last week’s debate at the economic development symposium on the Northern Forest region at the Rockefeller Institute in Albany, you can see it the way it happened on YouTube here. 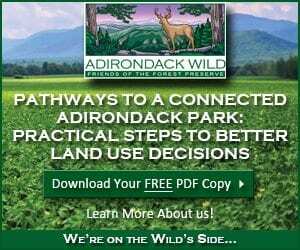 The discussion featured Adirondack Council Executive Director Brian L. Houseal; Todd Shimkus of the Adirondack Regional Chamber of Commerce and Joe Short of the Northern Forest Center in New Hampshire. 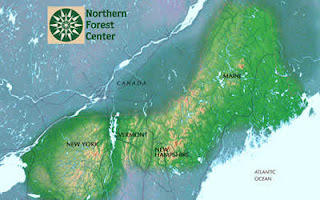 The Northern Forest is a 70-million-acre swath of very big forests and very small towns ranging from Tug Hill, eastward through the Adirondack Park, northern Vermont, northern New Hampshire and to the coast of Maine. » Continue Reading.